We compiled a detailed list on Best Black Friday Chromebook deals, make sure to check it out and be fully-prepared as the large discount event is slowly, yet steadily approaching. Chromebooks are mini-laptops that run Chrome’s operating system. They are simplistic and not as powered as Windows or Macs. Still, they are highly liked, from children to elders, Chromebook has something to offer for everyone. Our list contains either convertible and clamshell laptops with higher capabilities and those budget-friendly. Make sure to check out what they are packed with. Asus Chromebook is one of the best Chromebooks available on the market. Furthermore, we expect that this beautiful model might drop between 30-50% on Black Friday and Cyber Monday. The robust design with silver housing features rubberized edges. More importantly, the laptop will survive some water poured on it thanks to the imbued water-resistance. Still, Asus doesn’t expect you to dip it into the water. Other design-wise features include great flexibility. 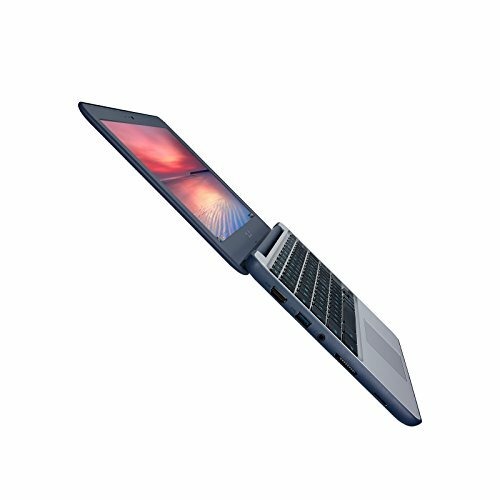 Asus Chromebook C202SA has rotatable hinges, capable of opening by 180 degrees. Aside from robust design, Asus promises that its Chromebook’s keyboard offers rubberized guards, that way preserving your laptop from mindless spills. What makes Asus Chromebook one of the best Black Friday deals are its specifications. Asus Chromebook will run plenty of applications thanks to 4 GB of DDR3 RAM, 16 GB flash storage and powerful Intel Celeron processor. Asus says it tested new update on Chromebook, which allows it to run Android games and applications, which manifest clearly on an 11,6 display. Whether you are looking for a robust and superb design or excellent performance, Asus Chromebook C202SA is promised to offer both. 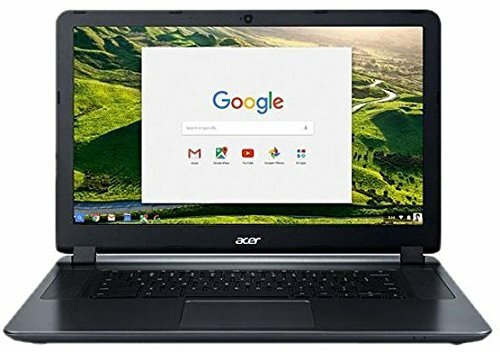 Acer Chromebook R11 is one of the best Black Friday deals. Everyone will admire the minimalistic design in the library, office, or café. R11 comes in glossy white color, while once you open the lid, you will be greeted with black palm rests and screen bezels. The 11.6” HD widescreen supports LED-backlit display with IPS panel. It doesn’t hurt to mention that R 11 is convertible, featuring dual-torque hinges that can rotate 360 degrees. When you get tired of using your Chromebook in a laptop mode, switch to tablet mode, where multi-touch gestures come in real handy. Aside from Chrome’s latest operating system, which supports Android games and applications, the specifications of this Chromebook promise adventurous performance. R 11 is equipped with 4GB DDR3L, 32GB Internal storage and Intel Celeron N3150 Quad-Core Processor with 1,6 GHz performance, along with Intel Burst Technology which boasts performance up to 2,08 GHz. Acer Chromebook R 11 is already on discount, so we can’t with precision say how much down will it go on Black Friday. Still, we hope it becomes sufficiently affordable for everyone who is looking for uncompromised business performance. Black, elegant, and robust. 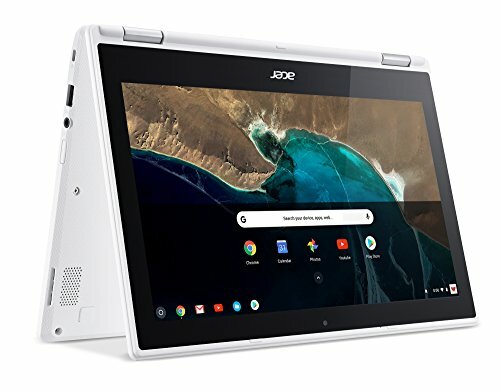 – Acer CB3-532 is the Chromebook you need in case you are looking for a balance between ultra-portable and stylish. Weighing only 4,3 lbs, Acer Chromebook will fit in your backpack without a sweat. Despite being 15,6-inch Chromebook, it is easy to carry and even easier to open with only one hand. Full HD WLED-backlit display supports 1366 x 768-pixel resolution and is ideal for streaming videos on YouTube and other video streaming Engines. Acer Flagship Chromebook sports all features a person is looking from a Chromebook. It supports ComfyView technology, Intel Celeron dual-core chipset with 2 GB of DDR3 RAM. There are 16GB of storage which allows you to tuck all your pictures and song in your laptop. Also, a 7hr battery life is more than sufficient to get through the day. Acer CB3 flagship Chromebook is already holding affordable price-tag. Still, we expect it to drop even more by the time Black Friday deals start. Prepare your wallets, should you be looking for affordable, yet powerful Chromebook. Samsung doesn’t only excel at making high-end smartphones. Its Chromebooks are pretty good as well. We expect significant discount for Samsung Chromebook 3. Its straightforward design makes it simplistic, and precisely what children or students need. The black plastic housing covers a thick and comfortable keyboard and 11,6-inches screen with finish matte texture. The screen resolution is 1366 x 768 pixels which are ideal for movies and videos in particular. 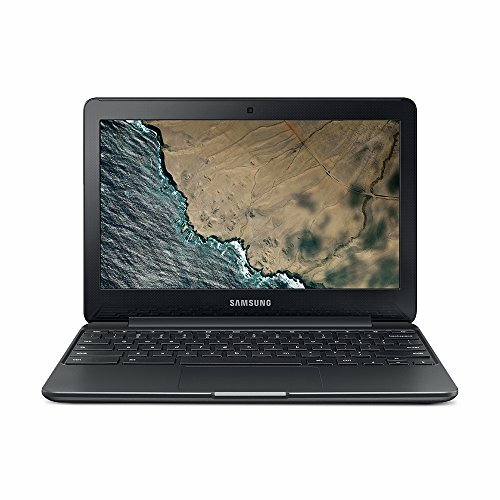 Regarding specifications, just like the vast majority of Chromebook laptops, Samsung 3 houses Intel Celeron N3060, with 4 GB DDR3 RAM. The allowed storage is tucked in a 16 GB SSD, which is more than sufficient for the data to be stuffed there. The battery life of Chromebook 3 is reliable and consistent at 11 hours. We expect a discount between 30% and 70% for this particular model. 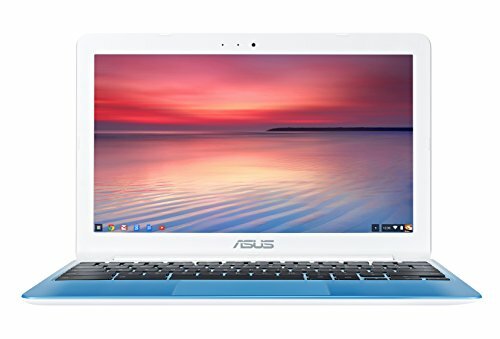 Although predecessor from our first deal, Asus C201 is nonetheless best Black Friday deal when it comes to Chromebooks. It is ideal for children and girls in particular, with its white, glossy build that makes everything more adorable. What makes C201 Chromebook more appealing to the users is that it is ultra-slim, and weighing less than 2 pounds, Asus C201 delivers utmost of convenience to be transported, thus being the best studying companion. The 11.6- inch glossy screen offers 1366 x 768-pixel resolution. That being said, you can watch videos without a problem, if you don’t mind glossy screens. Other than that, Asus offers spacious touchpad, wide and convenient keyboard and plenty of ports to support your needs. 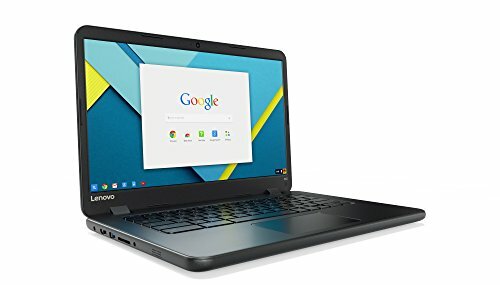 Intel Celeron, 4 GB of DDR3 RAM and 16 GB SSD, are more than needed to take on multitasking applications and use this Chromebook as if you would use a full-stack laptop. More importantly, the battery will not run out of juice until 13 hours after consistent use. Whether you are in need of useful and powerful Chromebook, Asus C201 is estimated to hit between 30%-70% discount. Although last year’s model, HP Chromebook is not to be given up onto. Take a look at the Magnesium-covered design and try to resist this durability and style. Being ultra-slim, 11,6-inch, this Chromebook promises more than portable experience, allowing you to take it no matter where you go. As mentioned, HP Chromebook has an 11, 6-inch display, HD LED with finish matte and 1366 x 768-pixel resolution. When it comes to performance HP Chromebook will exceed all your expectations. It is equipped with a dual-core Intel Exynos 525 processor, which, although last year’s model, does a great job even with multiple Chrome tabs open. There are 2 GB of DDR3 RAM to back-up most of the multitasking and 16 GB SSD to keep your data safe and access it swiftly. If reliability is something you look for in Chromebooks, HP Chromebook has plenty of it with 6-hour battery life. All in all, it is a great choice, and we expect a vast discount for Black Friday. Asus never ceased to amaze us. Hence it delivered a wonderful value, C100PA convertible Chromebook. Just like the previous mentioned Acer, C100PA is equipped with dual-torque hinges which allow it to convert into a tablet, thanks to the 360-degree rotation of the upper lid. Obviously, Chromebook sports a touchscreen display with 1280 x 800 resolution. Aside from that, Asus lets you choose from two color-sets, silver, and aluminum lid color. Both options, at two pounds weight, are very comfortable to use and slim design allows them to fit into backpacks painlessly. Feature- and specifications-wise, Asus C100PA Chromebook is very rich, we tackle Intel’s Rockship processor, rated at 1,8 GHz, 4 GB of DDR3 memory and large 16 GB SSD with plenty of storage for your data. Asus promises 10 hours of consistent use before the battery runs out of juice and Google Play and Android App readiness. We expect at least 50%-discount for this amazing, multitasking model, being one of the best Black Friday deals. Currently, at 21%-discount, Lenovo IdeaPad Chromebook promises great Black Friday deal. Chromebook looks simplistic, yet robust and powerful. It features black plastic housing like the vast majority of Lenovo’s Chromebooks. Still, despite being a 14-inch laptop, Lenovo IdeaPad features a 3,3-pound build that is easy to carry absolutely everywhere. The 14-inch Chromebook is work and study-friendly, so it shouldn’t be surprising if you opt for buying it if you are a student. With aspect Ratio fixed at 16:9 resolution, 1366 x 768 should be more than sufficient to stream videos from YouTube and other engines. The type of the display is HD anti-glare with LED, IPS panel and finish matte. It is important to note that Lenovo IdeaPad sports excellent variety of ports. Hence, it shouldn’t be troubling to plug your USB to watch more videos. IdeaPad Chromebook is equipped with accessible Intel Celeron N3060 processor with 1,6 GHz performance. The turbo mode, additionally, boasts this model to 2.46 GHz. There are 4 GB of DDR3 RAM for multitasking tabs and applications. The 16GB eMMC solid-state drive should be more than sufficient. The laptop rates at 10 hours of consistent use before the battery runs out of juice. That being said, Lenovo IdeaPad Chromebook is work-friendly. Also, if you have children who are fond of games, supporting Android apps and games makes IdeaPad Chromebook even more likable. 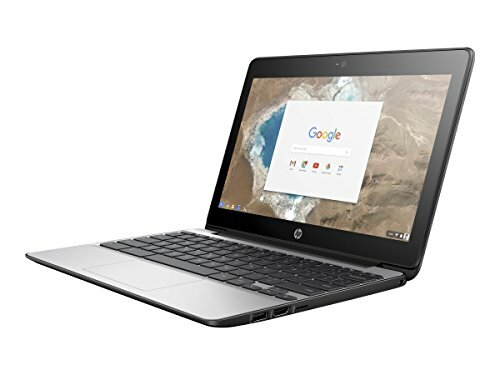 We bring you another HP Chromebook as one of the best Black Friday deals. Outside, HP Chromebook G5 looks just like an ordinary Chromebook. It is stylish, but sports plastic chassis that covers the laptop. The black color looks ordinary, although makes laptop stylish enough for its value. Being an 11-inch laptop, the 3-inches weight was unexpected. Still, the computer is enough portable to fit in your bag and be carried without an effort. It offers an 11,6-inch HD UWVA display with finish matte and LED panel at 1366 x 768 resolution. When it comes to performance, HP delivers future-proofed, powerful Chromebook. Like expected, Chromebook houses Intel Celeron N3060 processor with Intel HD Graphics 400, although that is not entirely important. There are 4 GB of DDR3 RAM to support you in running more than one tab, excelling at multi-threading performance. 16 GB solid-state drive is more than plenty of storage to house all your important data. What makes HP Chromebook G5 the most reliable is its 13-hours rated battery life and eligibility for Android apps. The expected discount is between 30-50%, so keep an eye on this particular model. Samsung’s Convertible Chromebook Plus is the Easter egg of the best Black Friday Chromebook deals. 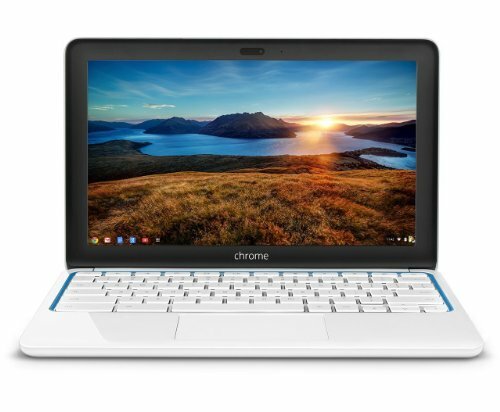 Being a convertible Chromebook, it is one of the most portable and useable Chromebooks on the market. Its robust design makes it very attractive to either student and those looking for reliable work. Its modes include a laptop, tablet, tent, and stand. The Chromebook is equipped with Lenovo Transition that easily adjusts the modes and screens when switching modes. Laptop streams 12,3-inches touchscreen with 2400 x 1600 resolution, it is one of the most energy-efficient LED backlight displays and thanks to dual-torque hinge system you can effortlessly convert it into a tablet. 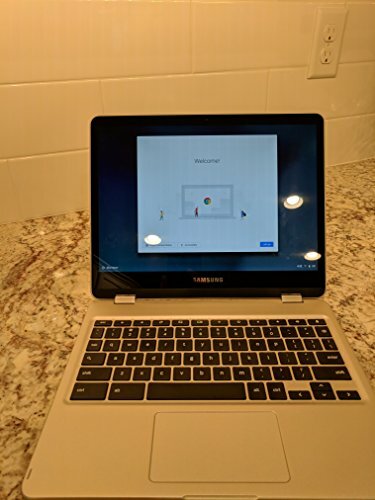 Regarding performance, Samsung Chromebook Plus is very powerful, with 4 GB of DDR3 RAM and OP1 hexa-core processor with 2,0 GHz, Chromebook Plus is going to work like a charm. Add to that the 32 GB of storage and Google Drive free storage, you can keep the endless amount of data on this drive. Chromebook Plus can run nearly all day with 10 hours battery, which makes it great for work. Also, it supports Android apps, which is great plus. Given this is a splurge model, we are looking forward to the vast discount. We are looking forward to the Black Friday and Cyber Monday events. That being said, best Black Friday Chromebook deals should be ready. Whether you are looking for a Chromebook or not, you should keep an eye on this list to make sure you don’t miss anything when discounts start.